Family holiday at the gates of Vienna and yet in the Alps! 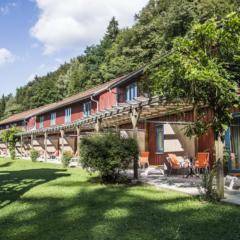 The JUFA Hotel Bruck an der Mur, surrounded by forests, meadows and springs, is located in the idyllic nature reserve Weitental in the south of the historically grown commercial city of Bruck an der Mur. Since June 2018, a new guest area has made the family paradise shine in new splendor. Little adventurers will be amazed by Ridor’s nature experience playground with a long wooden ball track, a slide and climbing garden, while parents will enjoy culinary delights in the Waldheurigen in a fantastic setting. The JUFA Hotel Bruck an der Mur is a generously equipped popular seminar hotel: 32 rooms, a winter garden, cosy café, seminar rooms, bowling tracks, games and leisure areas, ensuring comfort, space to relax, trouble-free seminars and workshops and plenty of options for leisure activities and networking. Isn’t it finally time to relax? The JUFA Hotel Bruck an der Mur is also an oasis with a 400m² large “forest” spa area. A Finnish sauna, laconium, tropical showers and a comfortable terrace are real highlights of a wellness holiday. By the way, you can bring your four-legged friend along – the facilities and staff are absolutely dog-friendly! Tourism, culture, industry, sport and schools are top priorities for the district town Bruck. It is also a well accessible traffic hub, offering opportunities for great shopping tours. The picturesque and well-known Green Lake, the Leopoldsteiner Lake, the children-friendly cycling paths, sensational mountain-bike trails, opportunities for climbing, the Erzberg, the Bürgeralpe and much more, are among the numerous leisure options in and around Bruck, on the banks of the river Mur. The JUFA Natur Hotel Bruck is located in a quiet location in the Weitental Nature Park. It is a perfect base for infinite adventures and can be reached easily by car. Guests can make use of the free parking spaces for cars and buses. Travelling from Vienna: Via the S6 Semmeringschnellstraße – Exit Bruck / Mur Zentrum – past the Reichl garage (Be careful: give way!) – until the roundabout – direction Graz – 2. Turn right into the street on the right (Gästedorf) – 1. Turn right into the street on the right (railway underpass) – turn left – go straight on up to the JUFA guest house. 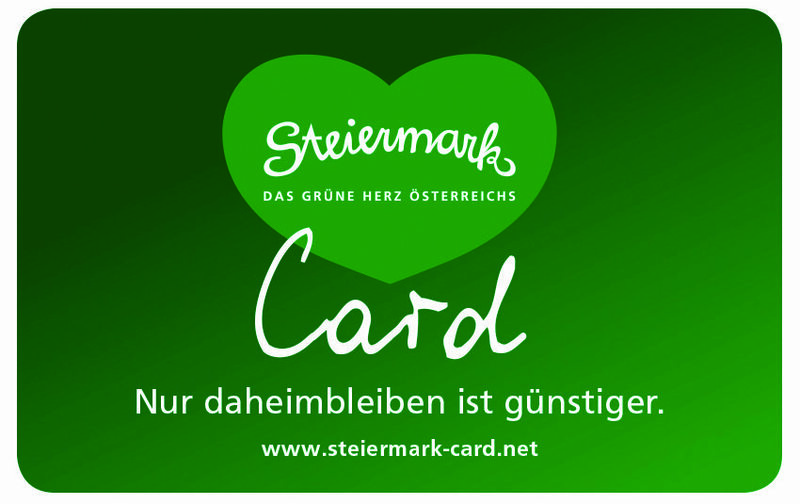 Travelling from Graz: Via the S 35 exit Bruck / Mur Zentrum – continue as from the direction of Vienna. Travelling from Leoben: Via the S 6 exit Bruck / Mur Oberaich: Direction Bruck – after the “Lidl” supermarket turn right at the crossroads in the direction of Weitental. Travelling from Kapfenberg: Via the Wiener Straße – direction Wien / Graz, (Hochbrücke) – turn right S 6 and S 35 (Vienna, Graz) – Exit Bruck / Mur Einöd (after the sign “Ortsende Bruck”) – sharp right turn! – at the crossroads turn right – then take the first turn left (Gästedorf) – under the railway underpass – then left – straight on up to the JUFA guest house. 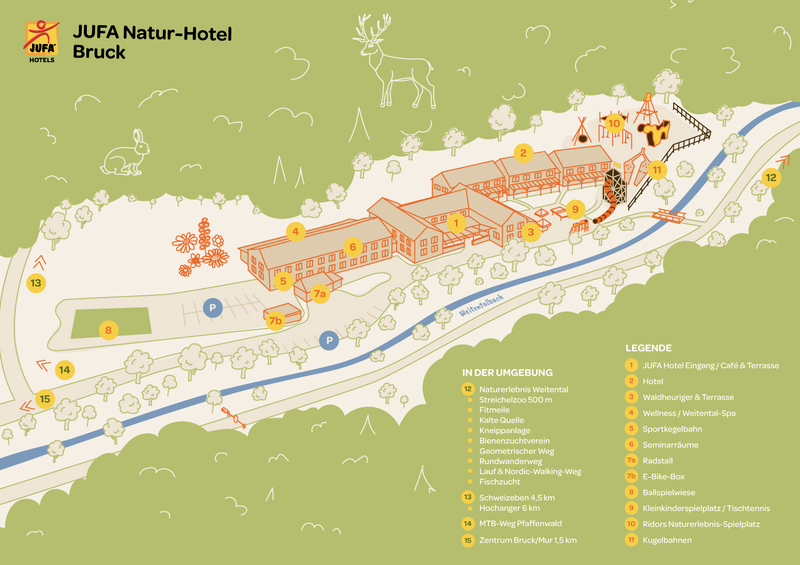 The map gives you an overview of the JUFA Natur-Hotel Bruck and destinations in the area. The Asia Spa Leoben impresses with its facilities and offer and is pure relaxation. Spacious sauna and pool areas have convinced every guest. Pleasantly warm water from the region and an outdoor area make the Asia Spa Leoben a particularly relaxing oasis of tranquility. Do you feel like wellness and cosmetics? Visit the Asia Spa and look forward to the next dose! The Almenland Natural Park is a true treasure chest of countless jewels of nature. In addition to a variety of hiking possibilities and numerous sports and leisure activities, you can enjoy the wonderful nature and be enchanted by the beauty of the mountains. The city of Bruck an der Mur has a long tradition as a trading and transport city, not least because of its excellent geographic location, at the intersection of three valleys and two rivers. Well-preserved examples of different eras, modern architecture, generous shopping streets, a well developed gastronomy and colourful cultural sights characterise the flair of the beautiful old town with historically relevant monuments. Do you already know Ridor, the only living crocaur and guardian of the beautiful Weitental? He has found a great place to stay on the new outdoor playground of the JUFA Natur-Hotel Bruck with a long wooden ball track, slide and adventurous climbing garden and is looking forward to many curious visitors. And while the little ones romp around at Ridor, parents relax with culinary delights in Waldheurigen. The JUFA Natur Hotel Bruck provides an expert service for seminars, events, team meetings or workshops that are run over several days. In a central location between Graz and Vienna, embedded in the „Weitental“ natural experience valley, the JUFA Natur Hotel Bruck an der Mur enjoys the advantages of a great seminar location. Surrounded by forests and meadows, numerous springs and the Weitentalbach, this natural idyll invites you to recharge energy, relax and linger for a while. The JUFA Hotel features a spacious wellness area with its two panoramic seminar rooms with views of the forest. Do something good for your body and nature in the Weitental nature conservation centre. How about a sports week in the Weitental? Do you want to enjoy really good workouts on your family holiday? The JUFA Natur-Hotel Bruck has first rate facilities. A spacious play and leisure area, table tennis and bowling alleys invite you to exercise. There is also a wide range of activities on offer in the great outdoors during a sports holiday, whether action at the Aflenz outdoor park, or hiking and mountain biking in the Upper Styria mountain region, or taking part in a stimulating snowshoe hike in the enchanting winter landscapes of the Bürgeralpe. The JUFA Natur-Hotel Bruck guarantees that you will keep fit even on your holiday. A strong team spirit and a positive working atmosphere cannot always be taken for granted. However, the ability to develop trusting working relationships can be learned. The JUFA Natur-Hotel Bruck has the perfect facilities to suit your methods, whether you are supervising a programme for school-aged children or running training activities for an association or a company. Students attending field trips can enjoy an engaging social experience and will learn a great deal about team spirit in the process. Staff attending company outings and training courses at the JUFA Natur-Hotel Bruck will also find that their motivation levels, communication and team skills are enhanced. 5 Seminar and workshop rooms, a spacious play and leisure area and bike rentals are available for you in addition to numerous outdoor activities. At the JUFA Natur-Hotel Bruck you also have the possibility of bowling. The many sightseeing locations that are within easy reach offer a range of fantastic experiences and the excellent amenities at our hotel ensure that school outings and trips organised for companies and associations are truly memorable. Looking for tips for group excursions? In close proximity to the JUFA Natur-Hotel Bruck you will be spoilt for choice: Weitental nature conservation centre, Ridor’s animal relay, the Stübing open air museum, the Kapfenberg indoor water park, the Oberkapfenberg Castle, the Bärenschützklamm, the Mautern adventure park, the Aflenz outdoor park, the Lurgrotte, Almenland/Teichalm and much more. Do you already know Ridor, the only living crocaur and guardian of the beautiful Weitental? He has found a great place to stay on our new outdoor playground with long wooden ball track, slide and adventurous climbing garden and is looking forward to many curious visitors. And while the little ones romp around at Ridor, parents relax with culinary delights in the Waldheurigen tavern. "Wohlfühloase für Eltern und Kinder"
"Ruhig gelegenes, sehr nettes Familienhotel"
"geniales Hotel für Kinder "
"Tolle bemühte Mitarbeiter, man fühlt sich rund um"
"Absolute Empfehlung für Radfahrer am Murradweg"
Im interested in the offer "JUFA Hotel Bruck" in the .